For Jessica & Nathan’s Engagement Shoot, we decided to head up to Mt. Tamalpais, just north of San Francisco. I knew this would be a great location for them, since they are avid hikers and love backpacking! 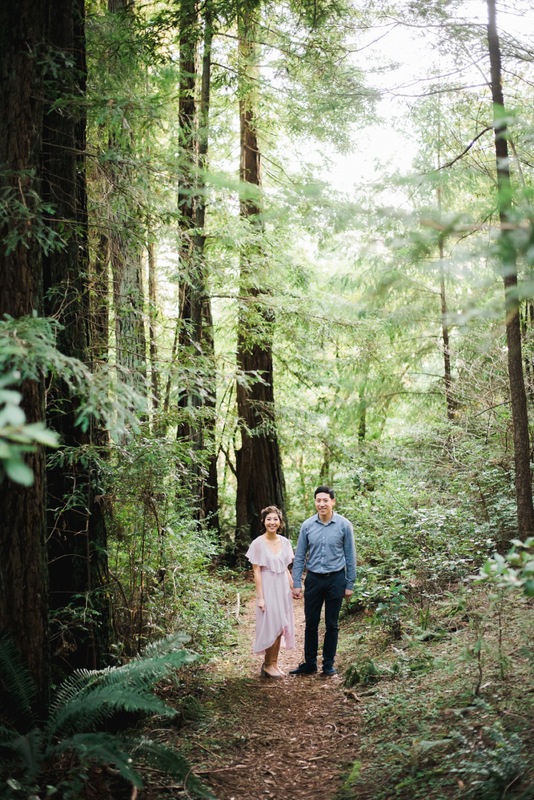 With California’s rainy season coming to a close, the grassy hills were a healthy and beautiful bright green, which complimented the lush Redwood forest perfectly.